Start the Service Configuration Utility. Enter the desired port in the Port Number field, replacing the existing port (the default is 10001). Click Set Port and exit the Service Configuration utility. Point your browser to the server address with the new port number. 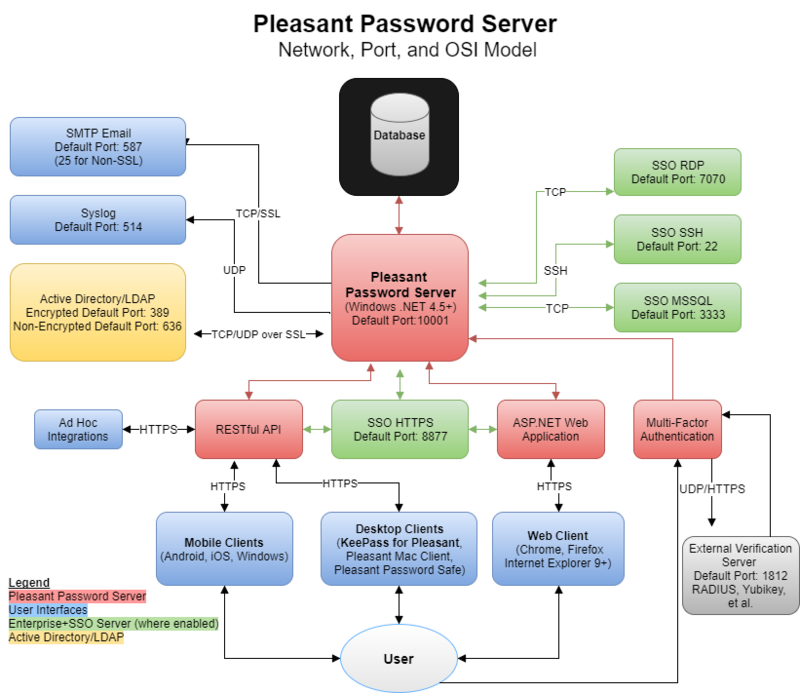 Note: Configuration changes will not take effect until the Pleasant Password Server service is restarted. This setting will persist through future updates of Pleasant Password Server. The port number will now need to be included in the URL when connecting to both the administrative web site and web client, as well as when logging in via KeePass (specified in the format [server]:[port]).